Photos from the 2018 Festival & Showcase are available on the BLEMF Facebook Page. *Emerging Artists Showcase concerts were livestreamed via IU Music Live. View the complete schedule of EMA's activities May 23-26, 2018 during the Bloomington Early Music Festival. 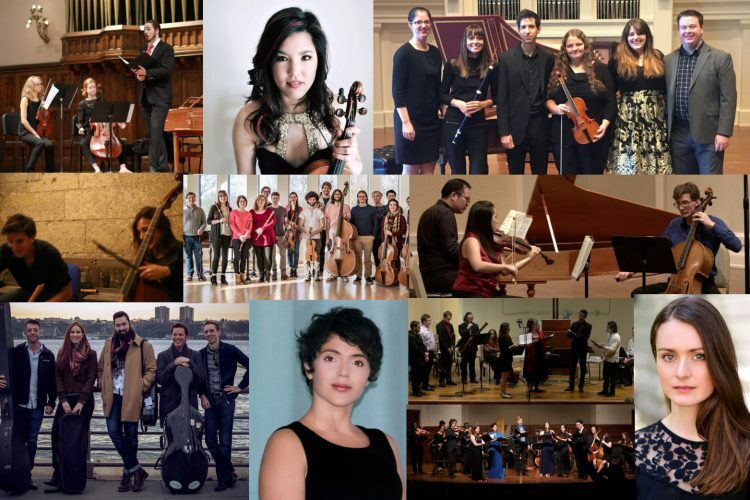 Since 2010, Early Music America (EMA) has been proud to bring together college and university ensembles throughout North America to perform on the fringe of the nation's leading early music festivals in Boston, MA and Berkeley, CA. As EMA seeks to reach more of its membership across North America, the board has taken the initiative to bring our 8th-Annual Young Performers Festival (YPF) to America’s heartland. For the first time in 2018, EMA will join forces with the Bloomington Early Music Festival (BLEMF) and the Indiana University Jacobs School of Music. The Jacobs School of Music’s Historical Performance Institute has supported early music for more than four decades, and the Bloomington community has a substantial audience uniquely devoted to historical performance. That audience is already looking forward with great enthusiasm to the arrival of EMA and YPF next May. In addition to the annual Young Performers Festival, EMA is excited to announce its first-ever Emerging Artists Showcase. The Showcase will go beyond the university level already represented by YPF to serve the broadest possible range of artists. The term “emerging artist” can include historically informed performers of all types, without respect to age. Applicants will be asked to describe how they see the future of historical performance taking shape, and to define how their role as artists and ensembles aligns with that future vision. Applicants submitting programs that move beyond the traditional Western classical canon, but fall within the same historical range (to ca.1820), will also be considered.